Why are more homes and businesses opting for bamboo flooring in the places they once used traditional hardwoods? There are a number of reasons one might consider replacing a floor or installing a new one with bamboo instead of hardwood, which we’ll explore today. There are a few different ways raw bamboo becomes bamboo floor planks. You have engineered planks and solid-bamboo planks, with the latter type further dividing into a number of subtypes. Engineered planks . The same as engineered hardwood planks, a composite material made up of a rugged core material with a bamboo veneer on top. Vertical-grain strip . Made up of thin strips stacked on their edges and glued together. Flat-grain strip . Produced similarly, but with thin flat strips of bamboo which are stacked and laminated. Strand . Made by mixing bamboo fibers with resins and pressing them into planks, similar to the way composite wood flooring materials are produced. Aesthetic. Bamboo floors look largely similar to hardwood floors, with enough difference to stand out and add something special to the room or rooms it’s installed in. Upkeep. Basic cleaning of bamboo floor sections is as easy as maintaining hardwood—easier, when you factor in the exceptional durability and water resistance of bamboo. Strand-woven bamboo in particular can be notably rugged. Green. A key component in the growth of bamboo floors’ popularity lay in its environmentally-friendly nature. Bamboo grows to a harvestable size in a matter of years, versus the decades required for comparable hardwood growth. Bamboo also survives the harvesting process, allowing the same plant to produce more bamboo for years to come. Water resistant. Compared to most hardwoods, bamboo flooring will resist water damage and warping to an exceptional degree, though it’s not impervious. Inexpensive. 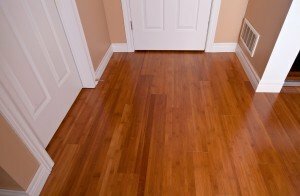 Bamboo floors generally cost about the same as you’d spend on hardwood of comparable quality, while offering any number of extra benefits over hardwood. There are a few things to take note of when shopping bamboo flooring. Make sure you’re working with a reputable professional installer with good suppliers and technicians. The relative newness of bamboo as a popular flooring material makes it easy for lower-quality materials to slip in; there’s no unified grading system for bamboo as there is for hardwood. 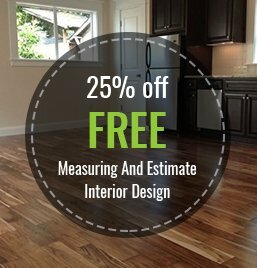 If you’d like to learn more about bamboo floors, or you’re ready to look into an estimate, contact Macadam Floor and Design today!